Posted on 11 December 2017. Tags: Why JERUSALEM is So Important ? Jerusalem is regarded as an international city, under a world body protectorate. That is its prevailing status. The United Nations has affirmed in a number of resolutions that continued Zionist colonisation of Jerusalem is illegal under international law. Every Zionist settlement in illegally occupied East Jerusalem is a direct contravention of the Fourth Geneva Convention, which forbids an occupying power from transferring colonists into the areas it occupies. The UN Partition Plan in 1947 – which divided Palestine between Jewish and Arab states – was clear to grant Jerusalem special status, placing it under international sovereignty and control. To some, this situation isn’t ideal – but to most, it’s the situation that works. This special status was based on the historic city’s cultural and religious importance to Muslims, Christians and Jews, meaning that no one party should have control over it. Jerusalem houses some of the most important buildings or locations in all three religions and has always been a melting pot of all three – and other – communities. Apart from Donald Trump, no leader or country in the world recognises Israeli claims to Jerusalem – and no country has its embassy in Jerusalem (including, at this time, the United States). Juan Cole does a good job of laying out the case here way back in 2010 for why East Jerusalem doesn’t belong to Israel. It is generally understood that Israel has no legally recognised claim to Jerusalem, that annexation of Jerusalem was never part of any internationally-recognised agreement, that every Zionist settlement or house in occupied Jerusalem is illegal, and that any Israeli move to annex Jerusalem will have dire consequences. Zionist agents in various countries, however, have been openly pushing for the annexation of Jerusalem in recent years. In fact, various political figures or parties (the Austrian Far-Right, for example) have gone to Israel and made “the Jerusalem Declaration”. Trump isn’t the only one. Geert “What We Need is Zionism For Europe” Wilders was calling for complete Israeli annexation during his bid to win the recent Dutch election, while Trump has previously expressed support for the Zionist claim to seize Jerusalem and make it the Israeli state capital and Jewish national capital – in keeping with Biblical Prophecy and evangelical ‘End Times’ agenda. An alternate title for this article could be ‘Armageddon – an organised event starring the fanatical zealots of all three Abrahamic religions’. And, of course, it has to center on Jerusalem. Where else? And that’s what’s scary. Even Donald Trump, in all his cluelessness, surely understands that there’s nothing non-dangerous or non-loaded about making toxic and unnecessary statements about that city. It’s as if the cheerleaders for the apocalypse are all getting geared up for the big event, doing whatever they now can to push it into motion. The underlying reason for the longstanding Zionist/nationalist agenda for occupying Jerusalem is to seize the Temple Mount and rebuild Solomon’s Temple – an event that relates to the coming of the Jewish Messiah (and for Christian Zionists, to the Second Coming of Christ). What is extraordinarily stupid about this is that those two ideas or expectations – the coming of the Jewish Messiah and the Second Coming of Jesus – are fundamentally contradictory. Nonetheless, for a good understanding of the true nature of this Zionist/American agenda for the ‘Holy Land’, see Grace Halsell’s article here, or seek out his book Forcing God’s Hand, which exposes the strange alliance between millions of ‘born again’ American Christians who long for the ‘Rapture’ and ‘Armageddon’ and believe it all hinges on the land of Israel. The main problem with this idea of rebuilding Solomon’s Temple is of course that it will require the demolition of the Al-Aqsa mosque – an act that could potentially set off a religious/sectarian conflict like nothing seen in recent times. That’s kind of the point, however. Victoria Clark’s 2007 book, Allies for Armageddon: The Rise of Christian Zionism, is also a good resource for understanding the apocalyptic/religious dynamics of the Zionist/US alliance in regard to the Holy Land. Again, in this context, we should remind ourselves that President Trump (backed by the Zionist propagandist and apocalypse-enthusiast Steve Bannon) did express his support for Jerusalem being seized and made the Israeli capital quite some time ago. This isn’t some new, shocking thing – as the MSM seems to think it is – but has always been a stated part of the Trump/Bannon/Kushner agenda. Which is why it is no surprise that both Bannon and Kushner fund illegal Zionist demolition of Palestinian homes and colonisation of occupied territory. So after all these years, is the Zionist movement finally maneuvering to seize the Temple Mount and begin the prophesied rebuilding of Solomon’s Temple? The answer is most likely yes. It has been planned by certain elements in Israel for a long time; but it was waiting for the right sets of circumstances to be in place. It has long been regarded as an event that – as inevitable as it might be – would probably trigger off a major conflict. 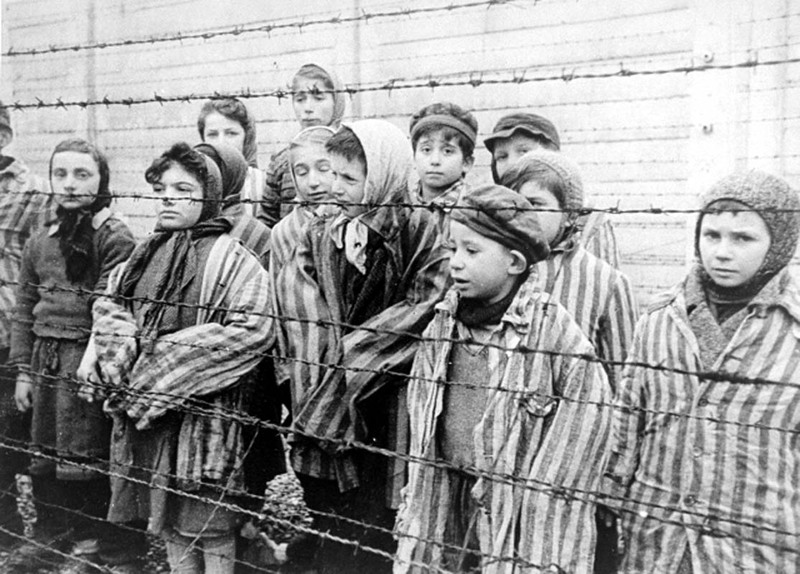 From even when I was a child, I remember being told by someone older than me that Israel would never go that far because it would set off a Holy War. However, those were simpler times. There is already holy war in some form or another going on across virtually the entire Middle East; and with both the regional and the Western powers fully distracted with jihadists, Syria, Iraq, Yemen and the Iran/Saudi proxy war, now is the perfect time for the extreme right-wing government in Israel to move on the Temple Mount. With everything else going on in the Middle East, the plight of the Palestinian people has been pushed into the background of regional concerns, and moreover the across-the-board demonisation and mistrust of ‘Muslims’ and of Islamic militancy in the West that has occurred in the last 10 – 15 years has eroded a lot of the international sympathy for the Palestinians (even though Palestinians are also Christian). I am increasingly convinced all of that has been by design. And that it goes as far back as the assassination of the moderate and peace-seeking Israeli Prime Minister Yitzhak Rabin in 1994 (by Zionist-Jewish extremists) and the later assassination of PLO figurehead Yasser Arafat (via pollonium poisoning and almost certainly by Mossad). Just to say something else here, before we carry on: every government or country is entitled to (or, more accurately, expected to) look out for its own self-interests, sometimes even via nefarious, convoluted means. Most countries do it, especially powerful countries. But there does come a point where you’re just taking the piss. I wrote in a very long article early this year about the warning that had been issued from *within* Israel about an extremist take-over that had occurred within the Israeli government; including a warning by a former Israeli Prime Minister (Ehud Barak) about the “seeds of fascism” that were present in what others were calling “the most extreme government in Israeli history”. I argued in that same article that a lot of the crises going on elsewhere – that we think are entirely unrelated to the situation in Israel – might in fact be entirely connected to the agenda of that extreme government in Israel. And I concluded in that piece that the central purpose of all of this was to place Israel in a position to be able to make a play for Jerusalem and the Temple Mount. Interestingly, although the right-wing nationalists in Israel have sought annexation of Jerusalem for a long time – along with seizure of the Temple Mount; they have never been in a position to do so, due to international opposition (as well as domestic opposition within Israel) and the political make-up of (1) a Western world-order mostly dominated by liberal political parties that, despite their general support for Israel as a state, would not support forceful annexation of Jerusalem, and (2) an Arab world dominated by strong, independent states and leaders who (until relatively recently) generally supported the Palestinians and were a threat to Israeli military ambitions. More interestingly, as I argued in this older article, Neo-Con-led geopolitics from the PNAC-orchestrated 9/11 onward have already ensured that the key regional states that might’ve intervened militarily against Israel in the event of full annexation of the Holy Land (or whose military power and strong, independent nature might’ve acted as a deterrent) – specifically the Pan-Arabists (like Gaddafi) and the Ba’athists (like Syria and pre-war Iraq) – are no longer in a position to do so. In fact, every one of those regimes has either been toppled by the Neo-Cons or collapsed from the so-called Arab Spring (leaving now only Iran, Lebanon and whatever’s left of Syria). 4578 In effect, something that no Israeli government could’ve really done twenty years ago is now wholly possible, because the way has been cleared: from the removal of Arafat and perceived de-legitimisation of Palestinian organisations/authorities to the proxy warfare waged on neighbouring Arab states to weaken them, the widespread encouragement of Islamophobia and demonisation of Muslims, the psychological warfare of the Islamist terror wave in Europe and the West (so that Palestinian terrorism can be equated in the popular mind with the virus of broader Islamist extremism – even the methods of all terror attacks in Europe seem to mimick older Palestinian attacks), and, finally, the conditions – and propaganda arrangements – being right for pro-Zionist nationalist-populists like Trump and Wilders to come into place to advocate for militant Zionism and to work to legitimise actions that are wholly illegitimate. Quite simply, the time is finally right – and having true Zionist supporters or agents in the White House (as opposed to a reluctant ally like an Obama) is arguably the final piece of the equation. Indeed, that crisis at that time – which included multiple Palestinian knife attacks on Israelis and instances of some Jewish/Zionist settlers setting fire to Palestinians in Jerusalem and calling for “shoah” against the non-Jewish population – might well have been a partly (or wholly) manufactured situation to act as a dry-run for what might need to happen in the future. Some even then were claiming it was a manufactured situation: if it was (and I don’t know if it was or wasn’t), it might’ve been to see what would happen if Zionist zealots began to act more aggressively in Jerusalem. On a similar note, if Trump genuinely moves towards Jerusalem being made Israeli capital, it is liable to provoke a resurgence in Palestinian attacks – which, in turn, will give the Israeli military all the justification it needs to take harsh, sweeping actions (witness ‘Operation Protective Edge‘ in 2014). The day afyer Trump’s Jerusalem announcement, there was already talk from some quarters of “a new intifada”. Likewise, it seems likely that Trump’s announcement was also designed to provoke further backlash or inflame further anger across the Middle East, allowing a further escalation of the much sought-after ‘clash of civilisations’ scenario that many of the key players (including apocalypticist Steve Bannon, who has spoken at length about wanting an apocalyptic showdown between – in his mind – a Judaeo/Christian Crusader-style West and Radical Islam) seem to believe in. Zionist Jewish nationalists want to ‘rebuild the Temple’; as in what they perceive to be Solomon’s ancient temple, destroyed by Vespasian and the Romans in AD 79. The only way to do this is to demolish the Al-Aqsa mosque. And the only people who want this to happen more than Jewish nationalists are the Christian/American Zionists, specifically right-wing evangelicals who fully back ultra-nationalist Jewish activity in Jerusalem, simply because they want to trigger a Third World War and, more importantly, the Biblical ‘Armageddon’ and subsequent Second Coming of Christ. Why? Because they believe they – as pure, ‘Born Again’ Christians – will survive the ‘rapture’ and be raised by Jesus, while the rest of the world burns. Israeli Zionist extremists in Jerusalem are fully backed and funded by American Christian zealots who want the Second Coming and the ‘rapture’ (despite the fact that Jewish lore insists the rebuilding of the Temple will mean the arrival of the Jewish Messiah and not the Christian version of Jesus – as pointed out earlier, it’s completely contradictory). It’s also fair to say that the Christan evangelical Zionists don’t care at all about the traditional Christians of Jerusalem and Palestine – you know, the proper Christians who pre-date modern evangelical McChristianity by a few dozen centuries? To make matters even more perverse, Muslims also believe that a ‘Second Coming’ of the Christian Jesus is to occur, but the fundamentalist Islamic view/prophecy has it that whoever the so-called Jewish ‘Messiah’ is (whose arrival is meant to be foreshadowed by the rebuilding of the temple), he is to be regarded as ‘the Anti Christ’. In other words, the moment the Al-Aqsa is demolished and the Temple of Solomon is ‘restored’, we are probably looking at a Holy War to end all Holy Wars. Even more perversely, as I’ve explored before (see here), some of this has already been playing out with the ‘Islamic State’ group in Iraq and Syria, with the so-called ISIS ‘Caliph’ – Abu Bakr al-Baghdadi – being fabricated to play into Islamic prophecies about the End of the World and to convince would-be jihadist recruits that the End-of-the-World struggle between Good and Evil was in play. For the record, there have long been claims that Baghdadi was an Israeli Mossad agent named Shimon Elliot. I’ve never particularly subscribed to that theory – my own belief, based on various sources, is that the so-called ‘caliph’ Baghdadi never really existed and was a fictional figurehead crafted to help all of those events gather momentum. A key part of the ISIS psy-op was to bewitch or frighten people – both those in the terror group and those civilians in areas or towns that ISIS was taking over – with the idea that what was playing out was the Islamic ‘End-Times’ prophecy. One wonders then if much of what is intended to play out over Jerusalem is also intended to excite or bewitch those who subsribe to Christian End-Times theology or Jewish Messianic expectations. Clearly that is what’s driving most of this: my question is whether those at the top of the agenda genuinely believe in all this stuff or whether it is simply a vehicle for bringing about some other objective or desired state of affairs. But the point is that, across the board – whether it’s in the camps of extreme Islamism or in the camps of zealous Zionists or ‘End-Times’ Christians – we appear to be looking at deluded, zealous lunatics and apocalypse-fantasists. Lebanon’s foreign minister has told an emergency Arab League meeting that imposing economic sanctions should be considered against the US over its embassy relocation move. “Preemptive measures (must be) taken against the decision… beginning with diplomatic measures, then political, then economic and financial sanctions,” said Gebran Bassil during an Arab Lague meeting held in Cario on Saturday. US President Zionist puppet Donald Trump on Wednesday defied global warnings and said Washington formally recognized Jerusalem al-Quds as the “capital” of the Jewish Nazi state and would begin the process of moving its embassy to the occupied city, breaking with decades of American policy. “Could this calamity bring us together and wake us from our slumber? Let it be known that history will never forgive us and our future will not be proud of what we have done,” added Bassil. Arab League chief Ahmed Aboul-Gheit also called on world nations to recognize the State of Palestine with East Jerusalem al-Quds as its capital. He added that Trump’s decision raised a question over Washington’s role as a peace mediator, not just in Palestine but the whole world. “The decision amounts to the legalization of occupation,” he added. “The decision by the US administration is in its essence legitimizing the occupation and admitting and allowing their stance by force. It is a waste of international legitimacy and the principles of justice, and therefore has placed he who took (the decision) in a state of conflict with the collective will of the international community,” he stressed. He also called on world nations to recognize the State of Palestine with East Jerusalem al-Quds as its capital. “I expect from you to commission the Arab block (in the Security council) to immediately act in presenting a draft resolution to the security council that rejects this American decision. We also call upon all Arabs in light of this American decision that challenged, not only Arabs and Muslims, but the world as a whole, to quickly visit Jerusalem, so as not to leave it as a victim to the American decision and Israeli threat,” he added. Jordanian foreign minister also stressed that there will be no peace and security in the region unless Jerusalem al-Quds is free. “We want peace as a strategic option, which we demand for all of the region’s peoples completely and indefinitely. However, there will be no peace without a free and independent Palestine, there will be no peace unless Jerusalem is free, and is the capital of Palestine,” said Ayman Al Safadi. Meanwhile, Zionist puppet Mahmud Ab-A$$’s diplomatic adviser said that Ab-A$$ will reject to meet US Vice President Mike Pence during his scheduled visit to the region later in the month. “There will be no meeting with the vice president of America in Palestine… The United States has crossed all the red lines with the Jerusalem decision,” he added. Clashes between Israeli security forces and Palestinian protesters in al-Quds continued on Saturday over the Trump administration’s divisive decision. Palestinian protestors threw objects at Israeli soldiers and set trash cans on fire, while others held guns to the head of an effigy of Trump, before burning it. Venezuela’s voting system remains one of the most reliable in the world, an international group of electoral experts said Thursday. 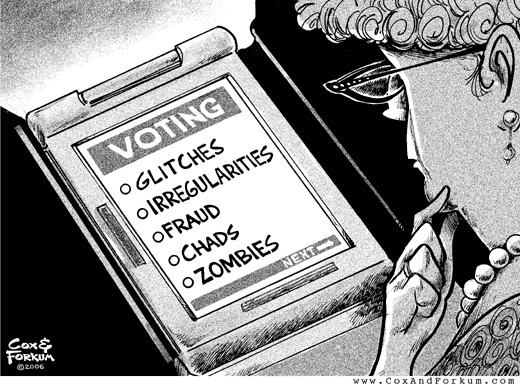 The country’s electronic voting system boasts some of the world’s best checks and balances, and is both “safe and reliable”, according to Nicanor Moscoso, the head of the Latin American Council of Electoral Experts (CEELA). “The results have never been formally refuted. It is the most audited process in the world,” he said. The comments were made after Moscoso concluded talks with Venezuela’s electoral authority, the CNE. Praising the work of the CNE, Moscoso said the electoral system is heavily automated and easy for voters to use. “Venezuelans can be sure that Sunday will deliver the real results of the democratic will,” Moscoso said, referring to upcoming municipal elections this Sunday. More than 300 mayoral positions nationwide are up for grabs, with the ruling socialist party, the PSUV, hoping to repeat its surprise victory in October’s regional vote. The party secured 18 of the country’s 23 state governorships in the elections. Ahead of the vote, opposition parties had expected to make major gains, and largely refused to acknowledge the unexpected results once they came in. Prominent opposition parties including Voluntad Popular, Primero Justicia and Vente Venezuela have all vowed to boycott Sunday’s vote. The boycott is likely to backfire on the opposition, according to Phil Gunson of the International Crisis Group. “I don’t think there are many instances in history where governments have been brought down by electoral boycotts,” he told The Guardian. “I think the very least you can ask of an opposition is that it shows up and puts up a fight,” Gunson added. Saudi Zio-Wahhabi imams of the Grand Mosques in Makkah and Madinah did not mention the situation in the illegally Nazi occupied Jerusalem and Al-Aqsa Mosque during their Friday sermons, Shehab.ps has reported. Al-Aqsa Mosque in Jerusalem is regarded as the holiest place in Islam after the two Grand Mosques. Although he did point out that the Kingdom “reiterated the legal rights of the blessed Palestinian people” and hailed Zionist King Shalom Bin Yahhod and other Muslim leaders for seeking the best for Islam and Muslims, well-known Wahhabi Shaikh Maher Mu’eqili did not mention the issue of Jerusalem in his Makkah sermon. 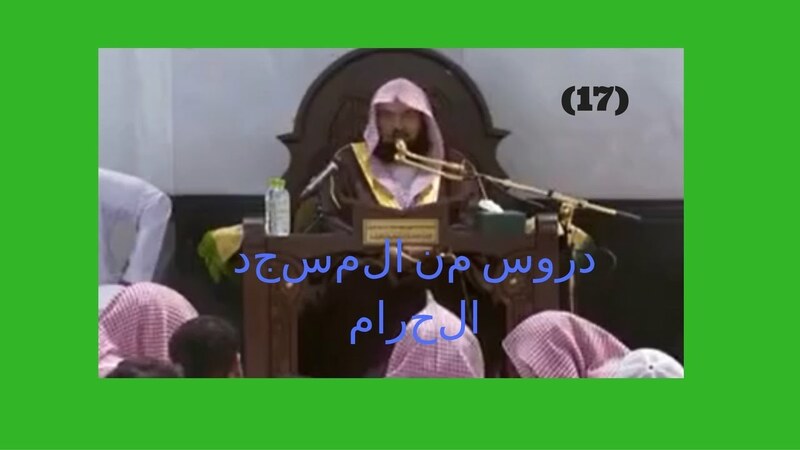 Wahhabi Shaikh Abdullah Al-Bu’ejan, who delivered the Friday speech in The Prophet’s Mosque in Madinah, did not mention the issue at all. Instead, he discussed God’s miracles in the change of the seasons throughout the year. In the wake of Zionist Trump’s decision about Jerusalem, the Saudi Royal Court ordered the local media not to give the issue wide coverage, Al-Araby Al-Jadeed reported. The Zio-Wahhabi Saudi and Zio-Wahhabi Bahraini Embassies in Amman also called on their citizens living in Jordan not to take part in the demonstrations organised to protest against the US move. While the international community has almost unanimously disagreed with Zionist Donald Trump’s announcement, reports suggest that the announcement was done with the pre-agreement of Egypt and Saudi Arabia, with Saudi Zio-Wahhabi regime going as far as, allegedly, stating to the Palestinian President to accept a village on the outskirts of Jerusalem as the alternative Palestinian capital. This month marks the 30th anniversary of the First Intifada, an event which fundamentally altered the profile and trajectory of the Palestinian national struggle against occupation. It shifted political leadership away from the exiled Palestine Liberation Organisation (PLO) leadership, reconfigured local political arrangements and, most crucially, challenged the Israeli occupation at its weakest and most vulnerable points. However, its full significance has not been, to my mind, sufficiently acknowledged, whether by international observers or by younger generations of Palestinians. This is unfortunate, as the Intifada is not purely an historical event – in my view it has much to contribute to discussions that relate to the conceptual framing, theorisation and tactics of contemporary resistance. This article does not, however, propose to engage at any of these points. It has instead been conceived and developed as a personal account which is grounded within my own perspectives and experiences. In the late 1980s, I lived in the village of Burqa, which is close to Nablus, in the northern West Bank. My home village – like the rest of the West Bank and the Gaza Strip – had been subject to Israeli occupation for two decades. At the time, the wider world knew little of this reality: insofar as it engaged with the Palestinian “question”, it tended to fixate upon the diaspora refugee communities who had been at the forefront of the Palestinian struggle in Lebanon and Jordan. In the aftermath of the Oslo Accords, this emphasis was inverted. The Occupied Palestinian Territories (OPT) became the focus of international attention and Palestinian refugee communities became, at best, a secondary preoccupation. For Palestinians in the OPT, there was no possibility that they could be similarly blind to the occupation, whose curfews and collective punishments imposed themselves upon almost every aspect of everyday life. Refuge could not be sought in political quietism: the occupation did not distinguish between the politically active and apathetic. Indeed, this was one of the main oversights of the occupation: it politicised ordinary Palestinians by making resistance an imperative which weighed equally upon every Palestinian man, women and child. My own parents, who had previously shown little inclination to join in revolutionary activities (quite the contrary – they tried to dissuade me and my sisters from participating), joined a protest after Israeli soldiers killed a ten-year-old boy who was playing in his backyard in my home village. Looking back, I remember how, in imposing collective punishment upon my home village, the Israeli occupiers forced all adult males to congregate in the school courtyard. They made little allowance for age, seniority or status: teachers and doctors were forced to run around while shouting senseless and random words like “tomato” and “potato”. They were sometimes detained for more than six hours, and were not allowed to use the toilet or speak to each other during that entire time. Fathers, brothers, relatives and neighbours were deliberately humiliated in front of each other. The occupiers inflicted this treatment on my own father. One day, soldiers told him to bring down a Palestinian flag which activists had placed on top of an electricity pole. He was over 60. When he told the soldiers this and tried to make them see how difficult it would be for him to climb the pole, they refused to accept his “excuse” and threatened him with violence if he did not obey. He also knew that if he refused, his ID card would be confiscated and he would have to travel to the military offices in Nablus and wait for hours or even days to get it back. Israeli soldiers did not therefore always have to resort to direct violence. More often than not, this was unnecessary. In the OPT, violence was an implicit undertone, ever-present in the background. During one prolonged curfew, my sister sneaked out to visit my aunt, who lived around a ten minutes’ walk away. She did not encounter a single Israeli soldier. The Israeli army knew full well that their orders and directives did not require direct enforcement. This suddenly changed when the First Intifada broke out on 9 December 1987. Yitzhak Rabin declared an “Iron Fist” policy to tame Palestinians, and a man who would later be near-universally venerated as a “dove” of peace openly called upon Israeli soldiers to “break the bones” of Palestinian protestors. This violence also took other forms. Birzeit University, an important centre of popular resistance and struggle, was forced to close. A number of students (myself included) were prevented from graduating on time. While Rabin’s actions said much about his own considerable capacity for violence and intransigence, they said an equal amount about the settler-colonial mentality. In adhering to its guiding tenets, Israel’s political-military establishment believe that Palestinians cannot be engaged with as equals. Instead, it is more appropriate to engage with “them” with treatment commensurate to their level of personal and social development. Violence presents itself as an appropriate mode of conduct at this point. While the Israeli political-military establishment continually endeavours to gain insights into the mindset of its Palestinian adversaries, it appears to be structurally predisposed to underestimate Palestinians and their capacity for collective organisation and mobilisation. In other words, the influence of Zionism’s implicit racism and ethnocentrism invariably frustrates the initial aspiration to understand. It is true that the PLO leadership had been similarly blind to the possibilities of mass mobilisation. However, as Frantz Fanon observes, the colonised “…is overpowered but not tamed; he is treated as an inferior but he is not convinced of his inferiority”. The profound flaws within this misconception were clearly exposed when the United National Leadership of the Uprising (UNLU) took control of what was initially a spontaneous outburst of popular anger and resentment and turned it towards clear ends and purposes. The Intifada rapidly coalesced into a disciplined, broad-based and democratic uprising that was focused upon clear ends and objectives. The uprising became a source of immense pride for Palestinians, and it was characterised by a sense of self-sacrifice and commitment to the wider struggle. Patriotic poems were smuggled from prisons; Palestinian musicians composed Intifada songs, and their tape cassettes helped to raise Palestinian spirits. Sharif Kanaana, a professor at Birzeit University, collected what became known as “Intifada jokes”. He noted that there was a clear difference between jokes told in the pre-Intifada period and those told after it. In the latter instance there was a stronger sense of defiance, and the humour was invariably at the expense of the occupying power. When the Israeli army closed schools, the popular committees created home schools. When these home schools were then banned, Palestinians continued to operate them underground. One father, whose furniture and television set were confiscated after he refused to pay the occupation tax, spoke of how his son had told him not to protest on his own behalf. He refused to grant the Israelis this minor victory. His son said: “I don’t want to watch cartoons. Do not ask them to keep it.” When I joined solidarity visits to the injured at Al-Makaseed Hospital I was struck by the pride and defiance that shone in the eyes of the injured. In the current context devoid of any real sense of purpose, it is unsurprising that Palestinians should look back on the Intifada as a “golden age” of Palestinian struggle. However, there is a clear danger that these recollections will romanticise the uprising. It is crucial not to fall into this trap. After all, the Intifada was not entirely cohesive (there were ongoing tensions between the UNLU, the PLO and Hamas) and it could be argued that it was ultimately a failure – after all, its main contribution proved to be the abortive Oslo Accords. These limitations do not detract from the essential fact that the Intifada has a perhaps unparalleled significance in the history of the occupation, standing apart as the point at which Palestinians gathered the strength and collective sense of purpose which enabled them to confront an occupation which had imposed itself upon Palestinian society for two decades. It will always remain a source of pride for Palestinians, and will always to some extent reside at the level of imagination. In reflecting back upon it, Palestinians should take pride in its many achievements but also resist the temptation to idealise or romanticise. If this caveat is taken into account, then there is every reason to suppose that looking back will produce concrete benefits in the present. In an emergency meeting convened by the United Nations Security Council on the crisis prompted by Zionist Trump’s decision to recognize Jerusalem as the Nazi state capital, the U.S. stood isolated as other members unanimously condemned the decision. The meeting was called by Bolivia, Uruguay, Italy, Senegal, Egypt, France and the United Kingdom on Friday. Bolivian Ambassador Sacha Llorenti offered the strongest words of condemnation. Llorenti is known for his outspoken support of the Palestinian people, having debated the issue at the U.N. wearing a Keffiyah: a black-and-white scarf that has become a symbol of Palestinian resistance. “While there are two parties in this conflict, they are not on a level playing field,” Llorenti said. “One is an occupying power, the other is an occupied people. Other representatives, including France, Japan, Russia, and Sweden, expressed their dismay at the decision, saying that it would lead to violence and potentially ruin chances at the peace process that President Trump claims to favor. Egyptian Ambassador Amr Aboulatta said he expected the decision to have a “grave” impact on peace. Despite resounding criticism from the rest of the international community, U.S. Ambassador Zionist Nikki Haley maintained that Zionist Trump’s move was “simple common sense,” and that the president remains “committed to achieving a lasting peace agreement.” She also accused the U.N. of being “hostile” towards ‘Israel’. Since Zionist Trump’s announcement, Palestinians have resolutely condemned the decision and erupted in mass “days of rage” protests. Palestinian resistance movement Hamas has called for a “new intifada,” or uprising, against the Nazi illegall occupation, a plea backed by Lebanese resistance movement Hezbollah. Protests in various parts of illegally occupied Palestine have met with violence by Nazi armed forces. At least two Palestinians have been killed and hundreds more injured. On Friday, the Red Crescent said they have so far attended 767 injuries in the West Bank, Jerusalem and Gaza. Egyptian journalists staged a protest on Thursday evening in front of the Journalists Syndicate in Cairo, objecting to US President Donald Trump’s decision to recognise Jerusalem as the capital of Israel and move the US embassy from Tel Aviv. A number of public figures took part in the protest, including former presidential candidate Hamdeen Sabahi, human rights activist Tariq Al-Awadhi as well as representatives of the Kefaya Movement, the April 6 Youth Movement and Al-Dustour. The protesters demanded authorities sever ties with the Zionist entity, expel the Israeli ambassador in Cairo and close the Israeli embassy. Condemning Arab governments, the protesters chanted: “Arab leaders are cowards… either resistance or treachery” and “down with every collaborator”. Police forces cordoned off the protesters using iron barricades, while riot police were positioned nearby to ensure the demonstration did not spread. Amr Badr, member of the Journalists Syndicate, described the American decision and said he doesn’t not expect it to be followed through. WASHINGTON—Secretary of State Rex Tillerson ruled out pursuing a traditional Cold War-style containment and deterrence strategy against a nuclear-armed North Korea, citing concerns that Pyongyang will transform its arsenal into a commercial business and sell nuclear weapons to other actors. President Donald Trump has long said he won’t tolerate a North Korea with nuclear weapons capable of striking American shores. Central Intelligence Agency Director Mike Pompeo warned in September that North Korea was willing to share its nuclear arms technology with “lots of folks,” including potentially Iran. And a U.N. report last March detailed how North Korea attempted to sell nuclear material to unidentified international buyers in 2016. Mr. Tillerson’s comments on Tuesday to an audience at the Atlantic Council think tank in Washington made clear that the Trump administration sees the possibility of nuclear technology sales as reason enough to quash the possibility of a deterrence strategy—which would de facto accept North Korea as a nuclear power while preventing Pyongyang from using the weapons through mutually assured destruction. The secretary of State said the U.S. had already seen elements of North Korea’s commercial nuclear activity in the marketplace and couldn’t accept that development, particularly in a world where hostile nonstate groups pose some of the greatest threats to the U.S. Unlike the Soviet Union and China, Mr. Tillerson said, North Korea has no record whatsoever of abiding by international norms. “That’s the reason the president and I agree with his assessment that we simply cannot accept a nuclear armed North Korea,” Mr. Tillerson said. He vowed to pursue diplomacy with Mr. Kim “until the first bomb drops” but reiterated that U.S. military options remained on the table. North Korea has conducted three intercontinental ballistic missile launches since last summer and six nuclear weapons tests since 2006. The growing pace and complexity of the tests in recent months has alarmed officials in Washington, who have spearheaded a pressure campaign against Pyongyang, including the harshest international sanctions ever applied on North Korea, in an effort to induce Mr. Kim to give up his program. Last summer, Mr. Tillerson said the U.S. wanted to enter a dialogue with North Korea only if Pyongyang comes to the table assuming it will give up its nuclear weapons. But the top U.S. diplomat since has tempered that stance and opened the door to talks without preconditions, even as he has admitted that North Korea has never been a reliable counterpart in talks. Mr. Tillerson said the first meeting would allow both sides to put everything they want on the table and get started. He warned, however, it would be “tough to talk” if in the middle of the talks, North Korea tested another device. Meanwhile, the Trump administration is continuing efforts to step up pressure on Pyongyang. Mr. Trump has been pressuring China to place a full oil embargo on North Korea to stop the tests and bring Pyongyang into negotiations, but critics have raised human rights concerns about the impact that such an embargo would have on North Korean citizens in the middle of the winter. He said China was taking steps to prepare for North Korean refugees flowing over the border, in the event of an internal crisis in Pyongyang or a military conflict. He said such refugee flows are something China can manage and that the threat isn’t as significant as others have suggested. The heart wrenching story of a mother’s loss is laid bare in “Today They Took My Son”. Released online yesterday to coincide with International Human Rights Day, Farah Nabulsi’s short film beams the pain and suffering of Palestinians in the occupied West Bank into the home of every viewer. The story begins with Khalid, “the hero”, riding his bike through the narrow streets of a nameless town, his father’s voice narrating his adventure from somewhere in the background. Reminiscent of many a home video the world over, any sense of familiarity is quickly jolted away as the film cuts to documentary footage of a house demolition, of men in army uniforms surrounding an unknown figure, of the agony of an old, bearded man as he sits among the rubble of his home. This juxtaposition of home video-style footage, of birthday cakes and makeshift football matches, and of raw, distressing scenes of Khalid’s arrest is an ongoing theme throughout the film. Narrated by his mother, her eyes dark and harrowed, she asks how “they who have taken everything else” could take her son away. “The body refuses to hear what it has always feared,” she says, as she runs in vain through the streets to the spot where Khalid was taken. Yet these scenes are simultaneously all too recognisable. In fact, “Today They Took My Son” narrates a situation that has become daily reality for many Palestinians living in the West Bank, as the film points out, “every 12 hours, a Palestinian child is detained, interrogated, prosecuted and/or imprisoned”, according to a 2013 UNICEF report. Others have confirmed such figures, with Israeli human rights organisation B’Tselem estimating that as of August 2017 “331 Palestinian minors were held in Israeli prisons”. The words of Khalid’s mother: “I know the earth will keep spinning around my pain, ignorant of all that has now changed in my world”, strike at the heart of the matter, that such accounts of suffering so often fall on deaf ears among the international community. For Farah Nabulsi, herself a Palestinian living in diaspora in London, “Today They Took My Son” is a vehicle for allowing others to see and feel what Palestinians in the Occupied Territories experience on a regular basis. There is nothing more excruciating in this life than not being able to help your child. What we are seeing is a systematised process of breaking a society through their children. In the belief that “the arts play a crucial role in changing the world”, Nabulsi hopes that, by documenting the suffering of Palestinians through accessible art forms, awareness and empathy can be brought about. By “giving voice to the silenced”, what the late Edward Said once termed “permission to narrate”, Nabulsi seeks to “rehumanise” the Palestinian situation and provide a counter narrative to that espoused by the powerful lobbyists and international players who seek to deny the Palestinian situation. “Today They Took My Son” challenges any viewer, irrespective of their geography, family situation or political affiliation, to watch a mother’s heartbreak and not be moved. Her final line “When will he come back? Will he come back? What shall we tell him of the world when he does?” asks us all to consider our silence.